100% Argan Oil is a high quality oil endorsed by Master Organics brand. Launched – as it should be with natural oils – in dark bottle with glass pipette. For 59 ml/2 oz of oil we need to pay quite a lot. The price itself maybe a shock, especially because other available on the market natural oils have much more affordable price. Let us enlighten you: if you ever see cheap argan oil in the drugstore – do not go back there ever again. It means that the supplier of the given oil makes money on, probably, mixing argan oil with some other, much cheaper oil (for example coconut). You cannot tell the difference because majority of oils has similar smell. Argan oil is expensive due to fact that you need dozens of kilograms of Argania nuts, to produce a single, small bottle of oil. This makes the product prestigious, especially because its conditioning properties are invaluable. Argan oil took over the cosmetic world. No wonder about that, after all it indicates strong antiseptic, lifting and smoothing properties. Moreover, it prevents ageing processes of skin and hair as well as balances processes on the scalp. It can bring calm to even very dry skin, help get rid of dandruff and excess sebum. Furthermore, oil contains saponins that soften hair and provide them with healthy gloss. It will protect hair against damages, reduce brittleness and take care of hair ends. Argan oil is rich in fatty acids omega-6 and omega-3. Essential fatty acids provide energy and oxygen to cells and support resistance of tissues. This causes healthy hair growth, that grow from stronger hair bulb. 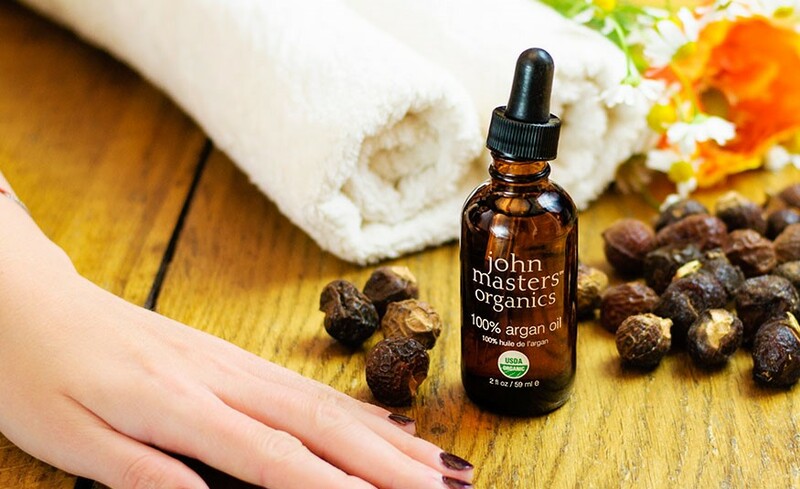 Argan Oil John Masters Organics is a 100% pure and natural oil, what means that it can be easily used both for hair oil treatment, hair ends care and dry conditioning as well as body and face care. Then you have to remember that argan oil with such a small volume will run out pretty quickly.